When you see a colorful and well crafted handbag made of leather in Cheyenne, you probably saw the signature look of Alexis Drake. This brand was created by elementary school art teacher Lexi Garrett. “Art and the need to make things has always been part of me and my growing up. All through grade, middle and high school. I started college in Engineering, moved to the business college and found my home in the art college.” shared Lexi. She got her masters curriculum and instruction and teaching certificate in 2010. Then she started subbing and was then hired in the district for the 2010-11 school year. Taught elementary for 7 years and middle school for 2. She has been an influential artist in the Cheyenne community for the youth in the schools and for community members with her small business, Alexis Drake. They started out hand-casting and making sterling silver & brass jewelry and accessories – and still do. They furthered their business because they needed to balance out their product offering and handbags fit with the aesthetic and philosophy. They have grown significantly over the years and now will have a brick and mortar location in downtown Cheyenne. They started out with Pop Up Shops –that were temporary– from 2 days to 10 days in vacant space downtown. Currently Alexis Drake has 3 full-time employees and 3 part time employees — and are currently looking to hire an additional seamstress. 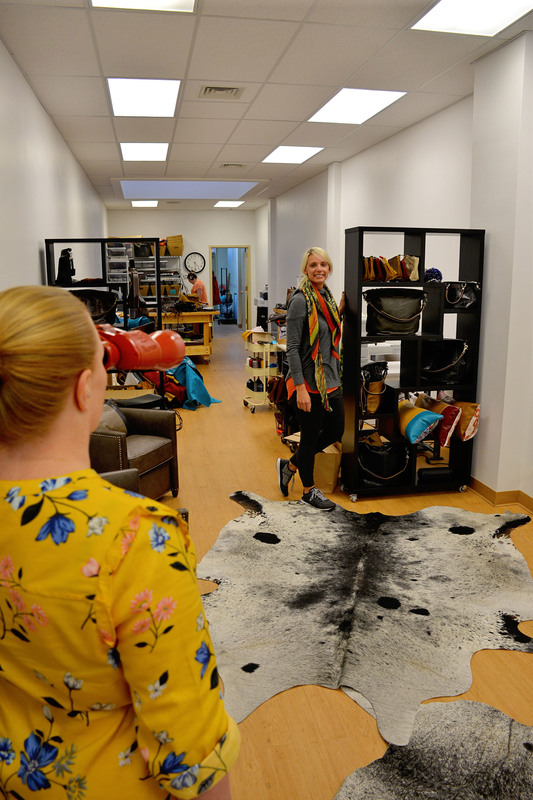 Great to see this kind of success with a local artisan and educator in Cheyenne! Congrats Lexie!